After spending the past couple seasons between Sauble Speedway and Full Throttle Motor Speedway, Phil Givens will call a different track home this year. After forming a new partnership with RJ Croteau through the off-season, it’s no surprise to see the renewed focus from Michael Kenny entering the 2019 campaign at Flamboro Speedway. 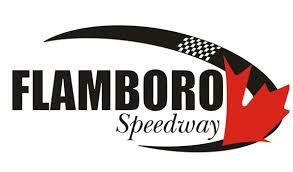 There’s no doubt that everybody is excited for the opening night on the 2019 Flamboro Speedway schedule. Though beyond that, it promises to be a busy summer with lots going on from the first weekend in April, to the Halloween Enduro in October. After a rough 2018 campaign, Kaitlyn Wallace is looking to turn over a new leaf heading into this year at Flamboro Speedway.